New to the Manna Organics family of healthy and delicious organic breads are 3 hearty Bavarian Sourdough Breads! Not for the faint of heart (no white bread lovers here! ), these artisanal breads are bold in flavor and made with whole grain organic rye flour. 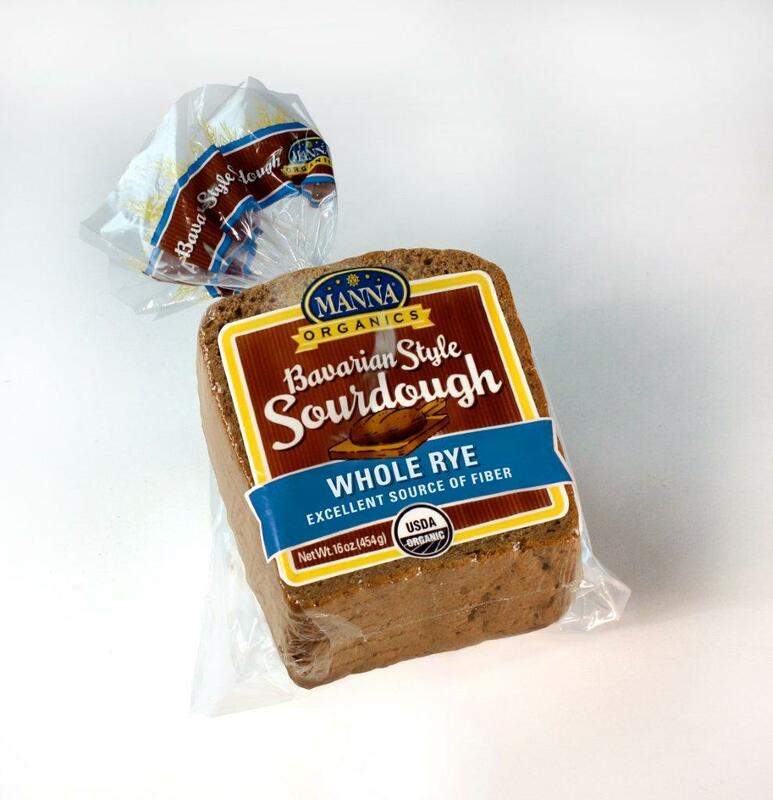 Certified USDA Organic, the three Bavarian Sourdough Breads now being offered are the Manna Organics Whole Rye Sourdough, Manna Organics Multigrain Flax Sourdough, and Manna Organics Sunny Sourdough. “Mom’s” favorite is the Sunny Sourdough, which is made with organic sprouted whole sunflower seeds & organic rolled oats , and is simply divine. Handcrafted with care, these new breads are extremely tasty and can be enjoyed alone or in a variety of ways. Top them with fresh butter, cottage cheese, nut butters, or homemade jam. Enjoy a toasted and buttered slice with soup, such as Curried Butternut Squash Soup or Tomato Basil. Perfect for dunking! Make a hearty sandwich. Use your favorite sandwich recipe and substitute our organic sourdough bread with your usual fare. Manna Organics Whole Rye Sourdough: Spread a little stone ground mustard, add a lettuce leaf, then a slice of swiss cheese (sub for Vgan: a meat free deli slice like tofurky), dust with paprika powder. Wunderbar! Manna Organics Multigrain Flax Sourdough: Spread cream cheese on toasted bread and add fresh sliced red or yellow bell pepper, or fresh cucumber, top with a dash of fresh ground pepper – hearty and healthy! Manna Organics Sunny Sourdough: The slightly nutty and rich flavor of this sourdough variety makes amazing grilled cheese sandwiches, which are quick-to-prepare. Vegan versions: Use hummus instead of cream cheese or cheese. Soy cheeses and fried tofu/tempeh as a topping is simply amazing. Manna Bread is available nationwide at Whole Foods Market, natural food retail stores and online at www.mannaorganicbakery.com. Manna Organics, LLC is a family-owned and operated artisanal bakery. They currently produce signature breads exclusively for Nature’s Path. They use Old World baking techniques, high-quality ingredients, the highest integrity and organic passion to create hand-crafted, delicious and nutritious breads. The bakery is located in Lisle, IL, a suburb of Chicago. Along with their dedicated team members, they bake fresh Manna sprouted breads and their new artisan sourdough breads daily, with lots of love and care. Stimulate your baby’s senses – The first three years of your baby’s life is vital time for making connections between brain cells. Research has shown that a baby has every brain cell he needs for the rest of his life on the day he is born. But it is sensory and emotional experiences that determine the connections between these cells. Stimulate his sense of touch, movement, smell sight and hearing as this will result in optimizing his development. Emotional experiences carry more weight than any other stimulation. Your baby will learn more about his world in a positive emotional context than when emotional energy does not accompany the experience. TV is an example of an emotionally barren learning experience. For example, your baby will learn about farm animals much quicker when you take him to a farmyard than when he sees a farm on television or on the Internet. Your baby’s development is best enhanced when he is having fun and spending time with you. Stimulate your baby when he is in the calm alert state, not when he is tired, hungry or crying. In this way he is able to make sense of the experience and benefit maximally from the stimulation. Do not over stimulate and over schedule your baby. In this day and age, it is easy to become focused on using every opportunity to stimulate, stimulate, stimulate. But babies (and adults alike) need down time – simply staring at the leaves blowing in the wind or doing what appears to be nothing. Likewise, sleep is just as important for brain development as stimulation so a good nap can be as good as a baby stimulation class. Time is better spent than money. Don’t worry about buying the newest fancy toys and gadgets. Rather spend time with your little one – talking, reading and simply playing with everyday household goods – these experiences often carry more weight than plastic toys with flashing lights. 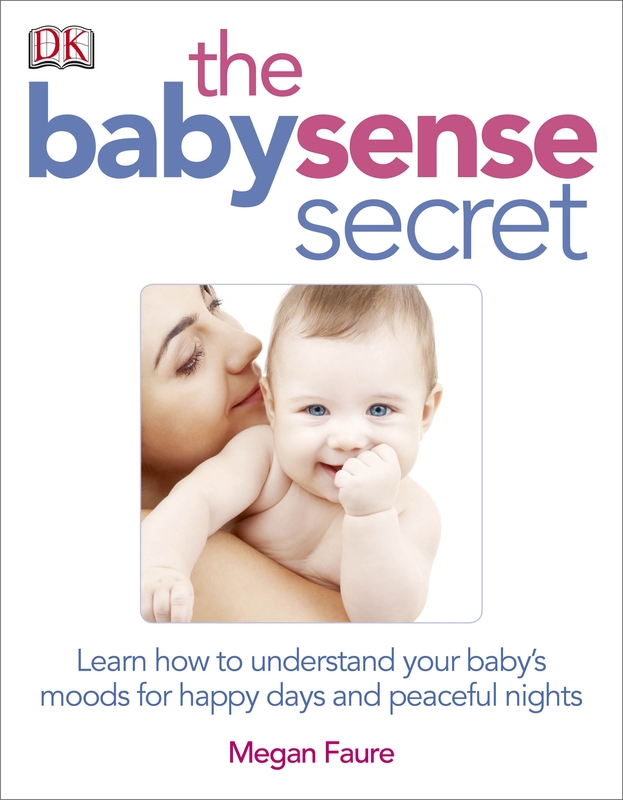 Megan Faure, BSc, OT, OTR is the author of the new book from DK publishing, The BabySense Secret. She is an occupational therapist who has worked for more than a decade in the pediatrics field in several countries including the USA and South Africa. In addition to her best-selling parenting book Baby Sense, Faure has developed a collection of innovative Baby Sense products based on her Sensible Sensory Parenting principles outlined in her books. In addition to the Baby Sense book series, Faure has authored several magazine articles in the field of child psychology, parenting and child development. 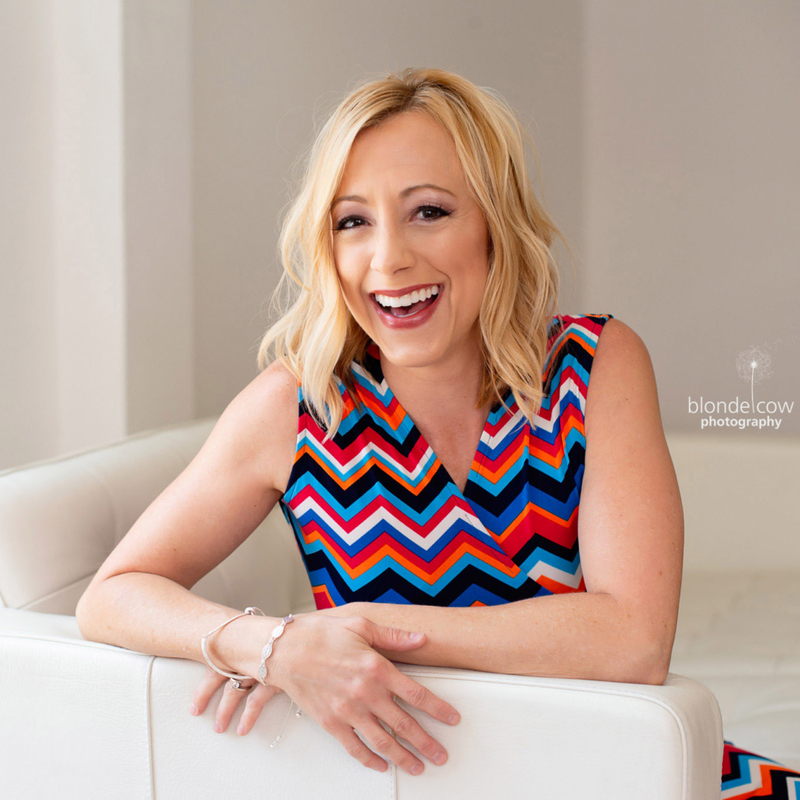 She is also the founder and chairperson of the Infant Sensory Integration Training group which provides courses for therapists to equip them to treat, assess, and understand infant behavior. Faure regularly lectures to both professionals and parents on various baby and childcare issues. For more information on Baby Sense visit www.babysense.com. To purchase Baby Sense products in the U.S. visit www.kastelinternational.com. Whether you recently made the choice to go Vegan, or have enjoyed the benefits of a Vegan lifestyle for years, this savory sandwich is sure to hit the spot! Lightly fry your tempeh or Tofurky slices in a greased pan. Add the sauerkraut on the side of the pan to warm it up. Cover and set aside. Spread Vegan mayonnaise on 2 slices of lightly toasted Manna Organics Whole Rye Sourdough bread, and add a lettuce leaf. Add the sauerkraut and tempeh or veggie slices. Drizzle the dressing directly on to the tempeh or veggie slices. Cover with tomato slices and onion. Spread the stone ground mustard on the other 2 slices of lightly toasted bread and top your sandwich off. Enjoy! “Mom” at Tiny Green Mom is excited to announce that the Winner of the Dandelion Earth-Friendly Tableware Giveaway is Ashley! 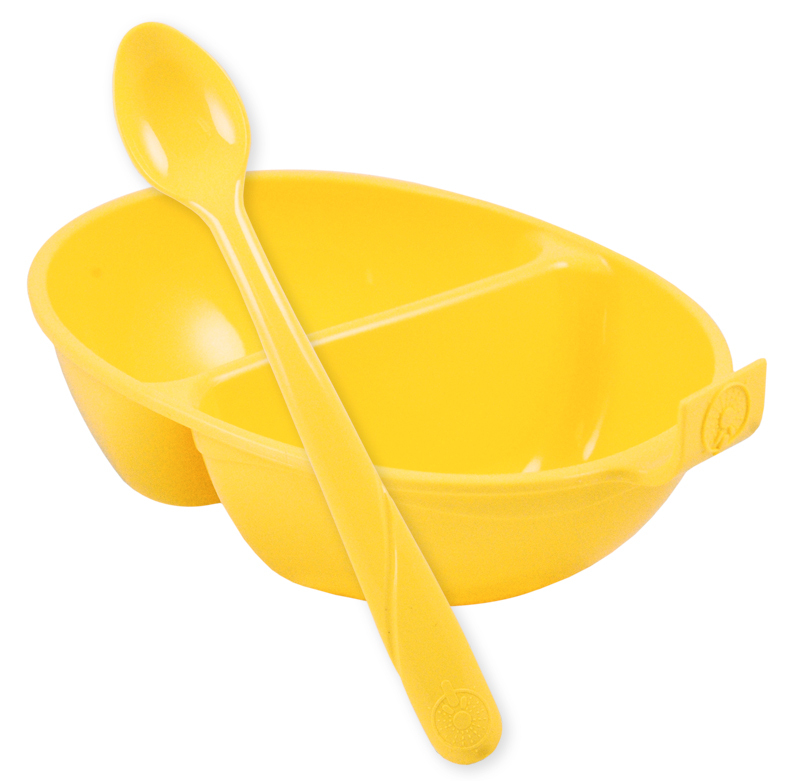 We hope that your son enjoys his new planet-friendly tableware! Happy eating! Thanks to everyone who entered this eco-fabulous giveaway! Take your taste buds on a culinary adventure around the world, right in your own kitchen! The Teeny Tiny Spice Co. of Vermont has created a flavorful new line of 12 organic spice blends that make it easy to cook traditional world cuisine in the comfort of your home. Foodies and aspiring chefs alike will delight in the unique blends, which include British Curry; Citrus Pepper; Chocolate Chili; Ethiopian Berberé; Garam Masala; Montréal Seasoning; Penang Curry; Perfection Spice Rub; Persian Adwiya; Ras el Hanout; Shepherd Herb Mix; and Vindaloo. The blends are simply divine – “Mom’s” favorite is the Chocolate Chili, which can be used to make Mexican hot cocoa, Chocolate Chili Brownies, or a traditional Mole sauce. Bold, intense, and just the right amount of heat – what recipe will you add it to? For recipes, more information, or to order online, visit www.teenytinyspice.com. Teeny Tiny Spice Co. of Vermont is a family owned and operated specialty food business created by enthusiastic cooks in 2010. The Vermont company creates and manufactures 100% organic spice blends representing various world cuisines. Their mission is to offer healthy organic spice blends that are versatile, easy to use and add exotic flavor to everyday meals. For more information and recipes visit www.teenytinyspice.com. Don’t we all love Easter? After all, most Americans celebrate with candy, eggs, and talk of bunnies. But unlike Christmas, the holiday comes and goes in a flash. Here are some ways that you can prepare for, enjoy, and even keep the fun of Easter going days later, all while relying on eco-friendly materials and setting a great example for the little ones. No jokes about 101 college classes, please! You can make your own baskets by taking an old food container or coffee can, decorating it, and attaching handles. If you’re interested in going the extra mile, you can crochet, knit, or weave a plarn basket. What is plarn, you ask? It’s a groovy plastic yarn made from simply knotting strips of plastic grocery bags together. (Google Image it!) If time isn’t on your side, focus on getting a basket already made with eco-friendly materials — something that will last a long time, and possibly be used again for other purposes. These are just a few of your options — do some research and have a blast experimenting! Replace that gosh-awful plastic junk and delight your kids by hunting down an eco-friendly way to embellish the bottom of your basket. Turn to a shredder or — old school — scissors-in-hand to finely shred some of your colorful junk mail. Or, use a natural alternative like raffia, which can be repurposed for other projects after the holidays are over. And Now for the Best Part: The Goodies! We all know there are plenty of options out there for filling those Easter baskets. But not all fillers are created equal. Taking the eco-track this holiday means avoiding all that “Made in China” dollar store dreck. Will your little one really thrill to getting a plastic whistle with a yellow chick painted on it? Do the kids actually need another plush bunny to fill out their collection? Here are just a few examples of some basket goodies that sit well with both the young’uns and Mother Nature. Recycled Crayons: Scavenge through the broken crayon nibs and melt them down. You can either gently melt them in the oven in a silicone mold, or slowly melt them in a double boiler and then pour them into candy molds. This requires special bowls and other tools that will be dedicated for this purpose alone; you don’t want to use them with food again! 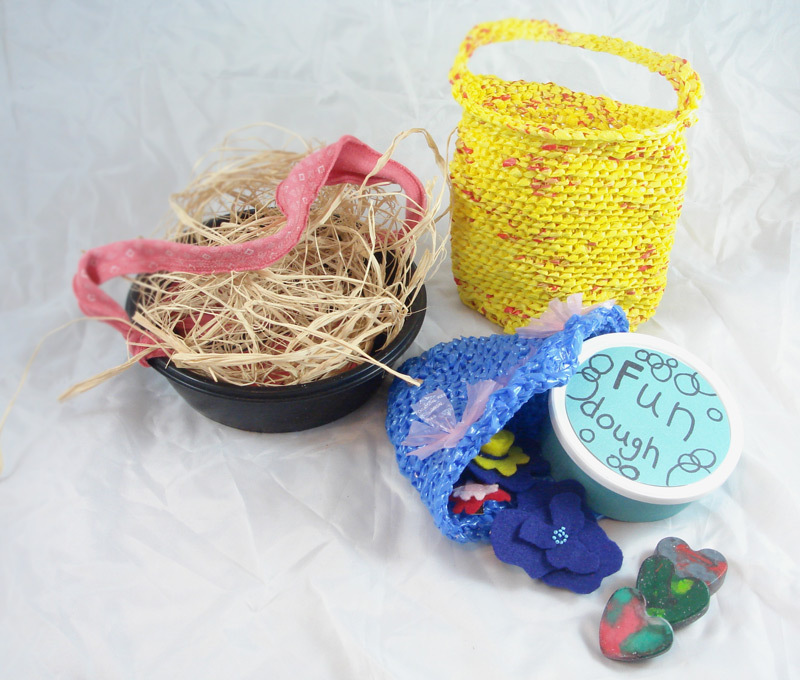 Eco (Play) Dough: Eco-friendly play dough recipes are a snap to make. When the kids are done playing, simply store in a cleaned out previously-used container. To make peanut butter play dough, which they can devour after playing with, simply mix 1 cup smooth peanut butter with 2 cups powdered sugar and ½ cup honey. Or for a salt bread dough: make with 4 cups flour, 1 cup salt, 4 cups water, 4 tablespoons oil, and ½ cup cream of tartar. The kids can leave out their creations to harden into permanent treasures (like marbleized paperweights or Christmas ornaments), or just toss when done. 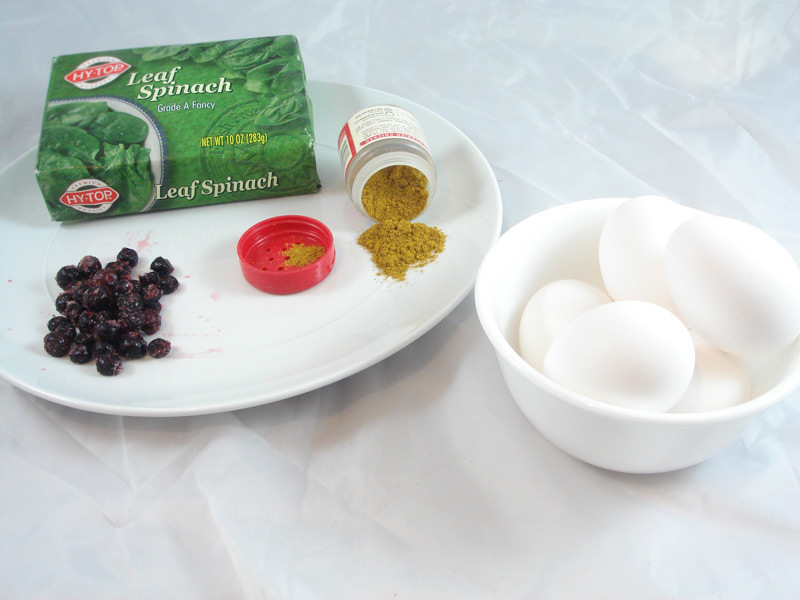 Similar to dying eggs, you can experiment with natural food dyes to color your dough. Make Hair Clips from Eco-Felt: Eco felt is a readily-available felt purchased at most craft stores. Made in the U.S.A. out of post-consumer plastics, it’s perfect for a variety of projects ranging from flower clips to wallets. Keep all of your boiled egg shells and make some eggshell sidewalk chalk with the kids! Make sure to thoroughly clean the egg shells and then grind them into powder with a mortar and pestle, or a spoon or rock on concrete. Once ground, combine the powder from 6 egg shells, and add it to 1 teaspoon of flour and 1 teaspoon of very hot tap water. Make a paste, and wrap it in a paper towel to dry. After 3 days, you have yourself some eco-chalk! Now aren’t you proud of your growing stable of eco-friendly home arts? Jennifer Tescione adores being a craft nerd and making bright and shiny things by raiding her kitchen cupboards. She also writes for FavorIdeas, a leading destination for unique baby shower favors and adorable bridal shower favors. 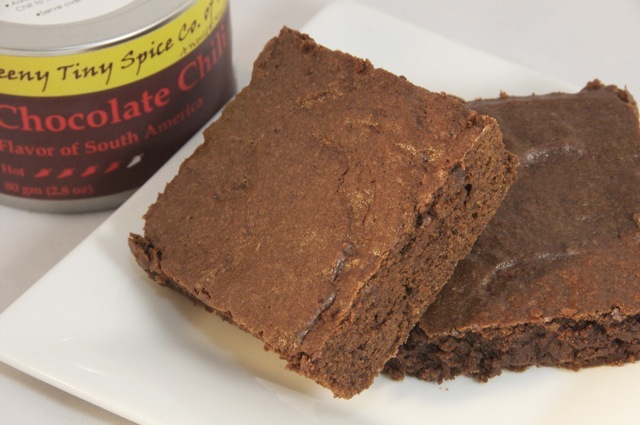 The Teeny Tiny Spice Co. has created decadent, rich brownies with a spicy twist – the addition of their Chocolate Chili! You can also use any basic brownie recipe and then add 2 tbs. of Chocolate Chili. These are sure to delight your senses and warm you from the inside out! Grease a 9X9 inch baking pan with butter. Dust with flour and tap out the excess. Preheat oven to 350ºF. Cream sugar, eggs and vanilla. Add cooled chocolate mixture and mix until well blended. Measure the flour, salt and spice, then sift together directly into the chocolate mixture. Mix batter gently until well combined and no trace of the dry ingredients remains. Spread batter evenly in prepared pan and bake 33 minutes or until a toothpick inserted in the center comes out clean. Just in time to beat the summer heat, Wolfgang Puck has introduced Organic Cold Brewed Iced Coffee in 4 tempting flavors! Boasting only 120 calories, these low-fat & organic creamy beverages are smooth and delicious, and taste A.M.A.Z.I.N.G…. Move over Starbucks! Depending on what strikes your fancy, you can choose to sip on Cafe Au Lait, Creme Caramel, Double Blend Mocha or Vanilla Fusion. Each one is rich and decadent, and can be poured over ice or enjoyed right from the bottle. “Mom’s” favorite? Vanilla Fusion! It has just the right amount of Tahitian Vanilla, with a hint of sweetness. 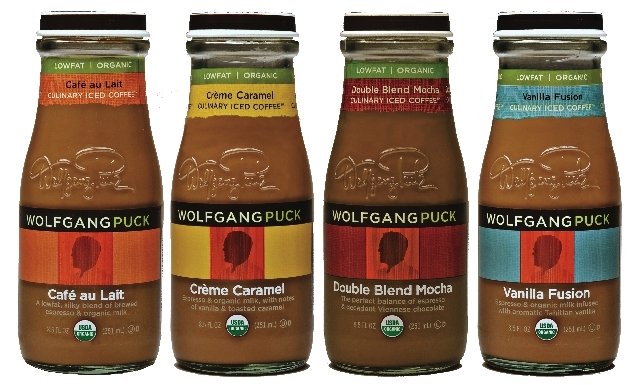 To learn more about Wolfgang Puck Organic Cold Brewed Iced Coffee, or to locate a store near you, visit www.wolfgangpuckicedcoffee.com. Did you realize that the majority of over-the-counter skin care products out there are full of harmful chemical ingredients? And these chemical ingredients have the potential to absorb into your skin and enter your bloodstream to negatively affect your circulatory system? This is precisely why it is so essential to put thought into not just the way that you care for your skin but the ingredients that you use to keep your skin protected from outside damage. Read your ingredient labels. This is the most important tip by far since your ingredient labels will tell you what type of chemical ingredients you may or may not be putting on your skin. As a rule of thumb, look for products that are certified as organic and contain natural ingredients. If you read an ingredient label that sounds similar to a science experiment, put the product down and don’t even think about putting it on your skin! Hydrate, hydrate, hydrate. In addition to the natural products that you use each day, drinking water and staying hydrated is a must when it comes to keeping your skin youthful and protected. Drinking water leaves your skin glowing, fresh, and radiant, and it also works to flush toxins from your body through a process of detoxification. This flushing is highly important since it will purge toxic chemicals from your body so that they do not affect the quality of your skin. Make it a priority to drink a minimum of eight glasses of water per day, if not more. Limit the processed foods that you eat. As you probably know by now, you are what you eat. If you are eating a diet full of processed foods that are rich in chemicals and additives, then these ingredients will naturally purge themselves through your skin. This could mean acne, premature wrinkles, a discolored skin tone, or even a dull and lackluster complexion. Instead, balance your diet with fresh and whole foods, like vegetables and lean proteins. By eliminating harmful chemicals from your diet, your skin will be able to naturally strengthen and repair itself to look fresh and radiant. Always use sun protection. At the very minimum, use a daily SPF of 30 that contains zinc oxide to block the UVA and UVB rays of the sun. You can get UVA sun damage, responsible for aging, even on the cloudiest of days, so wear this SPF religiously each morning before you leave the house. When you protect your skin from outside sun damage, you will greatly reduce your risk of free radical damage that causes premature fine lines and wrinkles! Bethany Ramos is a professional wedding makeup artist and aesthetician that co-owns her own website, The Coffee Bump. For a great selection of the Bunn Coffee Maker , check out Bethany Ramos’ website today! Cool off on a sizzling summer day with this delightfully frosty Coffee Frappe, using Wolfgang Puck Organic Cold Brewed Iced Coffee. Yum! 2. 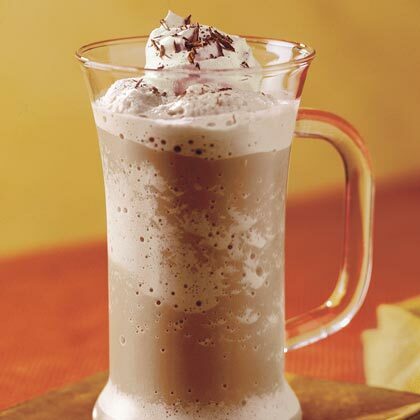 Pour into a tall glass and garnish with a spoonful of whipped cream.